Downtown: Los Angeles, CA USA Set #97 - Rear View angle: Car travels W on 7th St. on a clear day in light traffic. Shot on RED Dragon. 4k01:30Downtown: Los Angeles, CA USA Set #70 -Direct Front angle: Car travels S on Hill St. on a clear day in light traffic. Shot on RED Dragon. 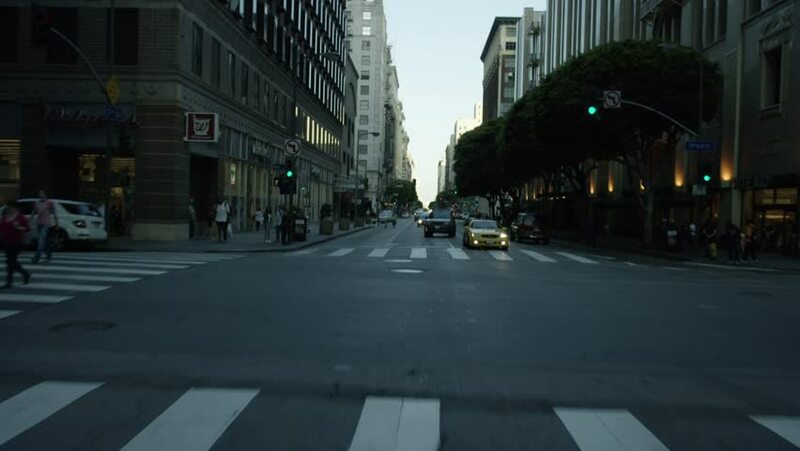 4k01:30Downtown: Los Angeles, CA USA Set #71 -Direct Front angle: Car travels N on Broadway on a clear day in light traffic. Shot on RED Dragon. 4k01:30Downtown: Los Angeles, CA USA Set #91 - Direct Front angle: Car travels S on Flower St. on a clear day in light traffic. Shot on RED Dragon.